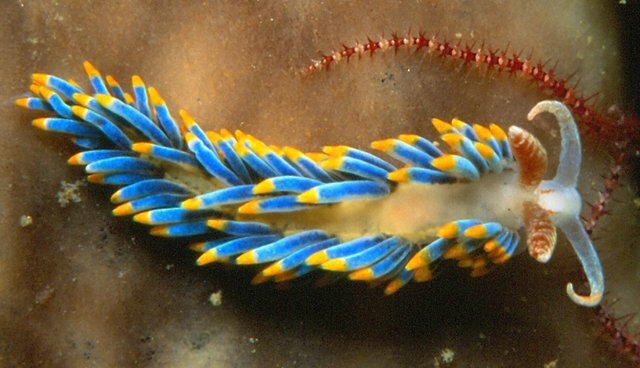 Sea slugs live a fairly stationary life on the ocean floor, where they feed on decayed plant and animal matter and plankton. Because they are a tempting snack for crabs, lobsters, and fish, many sea slug species have evolved bright coloring to trick predators into believing that they are unpalatable or are full of tummy-ache inducing chemicals. 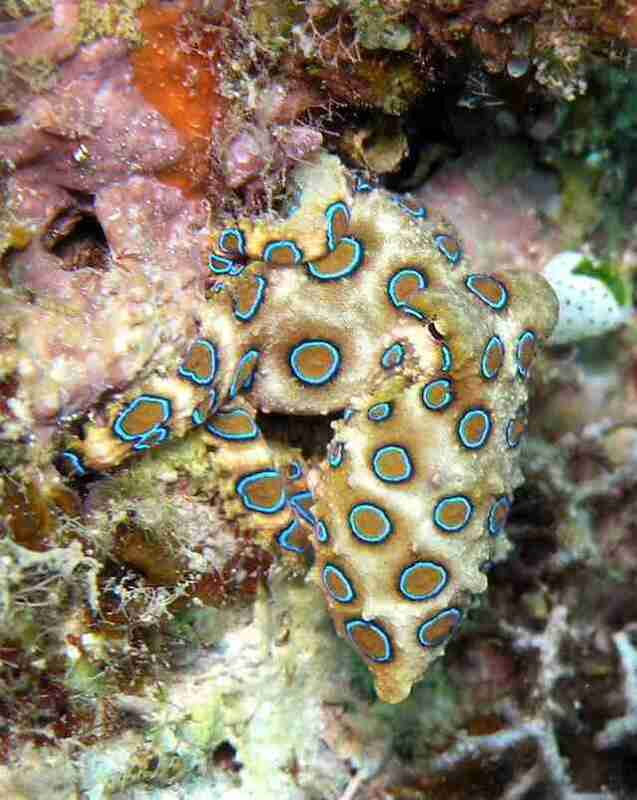 There are about 10 different species of blue-ringed octopus. They vary in body size, as well as in the the size of the blue rings that make up the pattern for which they are named. Despite their differences, all blue-ringed octopi share the distinction of being extremely poisonous. Luckily for humans, these octopi would much rather hide or flash their blue rings threateningly than actually use their poison for protection - which is great seeing as how no antidote currently exists. Well-known for their scrub-brush like appearance, sea urchins hide an otherworldly body beneath those threatening-looking spines. 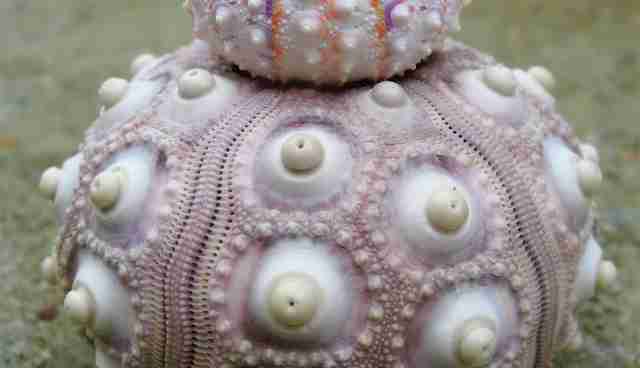 A sea urchin's exoskeleton (called a "test") is highly sought after by sea shell enthusiasts. On top of being simultaneously bizarre, intricate, and pretty, the five sections of a sea urchin test form an evolutionary roadmap that points to the urchin's common ancestry with starfish. 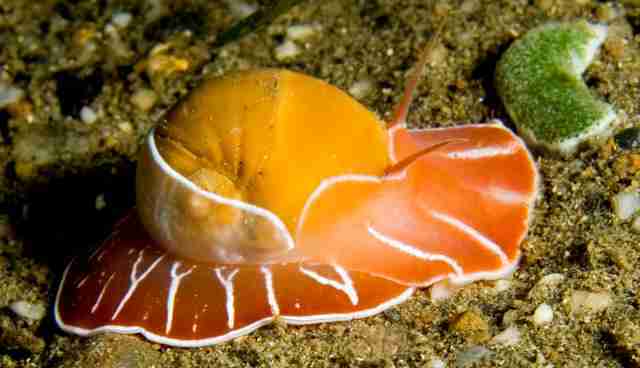 Named for their large, round, lunar-looking shell, the moon snail is common in all seas throughout the world. This hungry inhabitant of the ocean floor feasts on clams, shellfish, and even each other by drilling a hole into the shell of its meal - leaving those nearly symmetrical holes in sea shells commonly found on beaches. 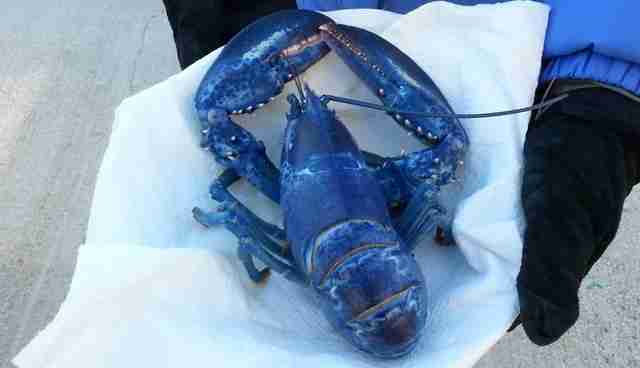 Though not a unique species, the mysterious world of colorful lobsters found its way into the spotlight this year when a high school freshman caught a beautiful (and extremely rare) blue lobster off the coast of Portland, Maine. The genetic defect that gave this lobster, affectionately named "Skylar," his brilliant blue hue effects an estimated 1-in-2 million lobsters. Even rarer defects exist, making lobsters calico or solid yellow (1-in-30 million), half-brown and half-orange (1-in-50 million), or completely transparent (1-in-100 million) - making the lobster appear to be made of crystal. Securely fastened to warm, shallow water coral reefs in the South Pacific and Indian Oceans, the giant clam 4-footlong enormous body can weigh in at over 500 lbs.! These huge filter feeders have inspired ridiculous urban legends of divers being eaten alive with one (impossibly) swift clamp of the giant clam's shell. 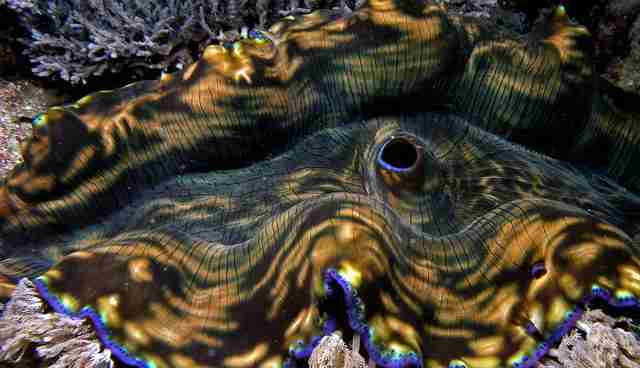 The giant clam spreads wide its two shells to reveal its mantle, exposing the countless small blue-green circles that give the Earth's largest mollusk its breathtaking, polychromatic appearance.